Job search is a very broad topic when you consider that a person’s job search might begin with a search engine, a chat with a friend, or even by browsing the web without the intention of job searching. However they may end up on your association’s job board, it helps to remember where they begin. If your job content is members-only and requires them to log in before they can browse opportunities, search jobs, or manage their profile, make that step as seamless as possible. If they already have some kind of account they need to login to in order to access your other reasons, it’s worth investigating Single Sign-On solutions that will mean they only need to remember one set of login credentials. If your job content is free and open to the web for members and non-members alike, find ways to work in the name or your organization throughout your job board’s content. This can give non-members more context for your role in helping them in their job search and what your organization’s mission is overall. If you offer extra perks or benefits for members, be sure to use them as an enticement for members to login and take advantage of those benefits. The way your members would prefer to apply to jobs may have nothing in common with the way employers would prefer to receive job applications – and that’s one of the reasons this part can get tricky. The majority of job seekers don’t want to jump through hoops to apply for a job. Something simple and straightforward will pretty much always win in their eyes. Employers, too, would like a simple and straightforward process, but they tend to ask more information of candidates up front to save themselves time. Your organization could potentially set down a policy for how job applications should work for employers and candidates, but it may require some research and compromises for both parties. Requiring employers and candidates to use your job board’s internal application system may help you gain more insight into how many people get hired through your career centre, but many employers may insist on using their own ATS or email/pen-and-paper/spreadsheet system. One thing you can do is gather feedback from employers and candidates in your industry and your association, and share it with the other. If your employers don’t realize they are contributing to a poor user experience for your association and a poor candidate experience for their organization, it’s worth sharing your knowledge and advising on ways to improve. 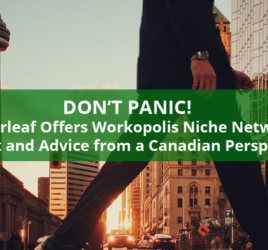 You might not always have much control over how employers run their hiring processes, but you can think about how your members can stay engaged with you as a resource not only for their job search but for career-related knowledge and resources. It’s generally wise to let the user control when they do and don’t receive things like emails and notifications and how often they receive them. 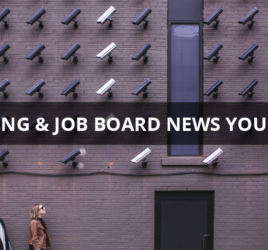 Encouraging job seekers to set up their own job alerts so they can make sure they hear only about jobs that are relevant and interesting to them can be a great way to keep members engaged with your job board without pestering them. Bear in mind that some people regularly browsing your jobs may not be applying to everything in sight, but instead keep tabs on what opportunities are out there and apply more selectively. For this type of member, content about the substance of their work, career path planning, and skill development may be a more relevant way to keep them engaged. 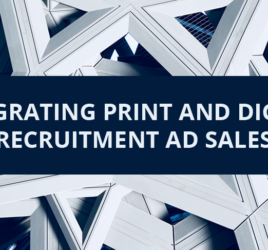 User experience is inclusive of digital and non-digital interactions with your brand as an association and can overlap with the experiences your members have with employers who advertise with you on your career centre. Thinking about how members find themselves searching for a job on your website, how applicants and employers interact, and how you stay in touch with those actively and passively looking for career opportunities can all factor into the usability of your association career centre.